In the first post in TOPIK Essay Writing Series, we looked at how the evaluation system of TOPIK essay section works. Then in the next post, we analysed the evaluation and marking of three beginner level model essays which were written by three different students. Today we have 3 sample INTERMEDIATE level (중급) essays and we will see how they are evaluated and marked by examiners. I would seriously advise you to go through these older posts before you proceed further : TOPIK Essay Writing Guide and TOPIK Essay Writing Guide- Beginner. Below we have 3 TOPIK Intermediate level sample essays and the complete break-up of their evaluation and marking. Analyze the evaluation charts properly and try to find why one essay got more marks than the other two. I hope it will help you make your TOPIK essay better and get a better score. All the best. 45. 여러분은 어떤 집에서 살고 싶습니까? 그 이유는 무엇입니까? ‘내가 살고 싶은 집’이라는 제목으로 글을 쓰십시오. 단, 아래에 제시한 내용이 모두 포함되어야 합니다. 살고 싶은 집은 어떤 집인가? 왜 그런 집에서 살고 싶은가? hi, so far your tips have been very helpful..im realy timing myself when taking mock tests. just one question though, as i dont know who to ask since im only studying on my own…..hope its okay to ask here. On the part of Writing, there is a part that says ‘ 원고지 쓰기의 예’ followed by words in boxes, what do these mean? That just shows how you are supposed to write your essay on answer sheet. Writing only one syllable inside one box, leaving a blank box after every word etc. Hi, I am currently preparing for TOPIK, I found this essay interesting. I have a question, in essay writing is it allowed to use words that related to english, for example the ‘interior'(이테리어), ‘concept'(컨셉)etc…Thanks. It’s totally okay if it is a Konglish word that is commonly used in Korea (like 이테리어 or 컨셉). But even if it’s not, it’s better to use a Konglish word rather than using a wrong Korean or English word. Hello there. 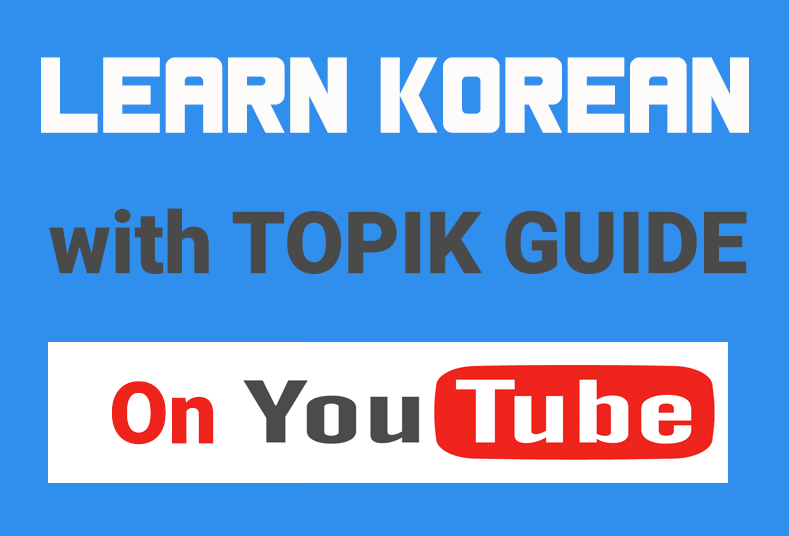 Thanks for each and every great tips you’ve shared about TOPIK. May I know, or do you have any suggestion, where can I get good examples/samples of essay of TOPIK 2 (for Writing section). I really hope to find some essay samples to help me in writing.